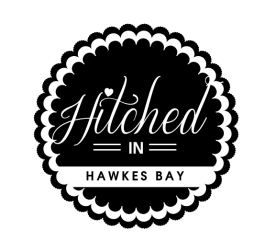 Hitchedin Hawke's Bay Wedding Directory - Hitched in Hawkes BayHitched in Hawkes Bay | A collection of the very best wedding vendors in Hawkes Bay. Hitchedin Hawke’s Bay is a local wedding directory of professionals who can assist you in ensuring your day runs effortlessly and without all the unnecessary stress!. Getting married is a beautiful and exciting experience and organizing your wedding should be fun and something to look forward to, this site is designed to help you through every stage of that process. Thinking of getting hitched in Hawke’s Bay? Hawke’s Bay is the oldest wine region in New Zealand and the second largest, it offers a huge variety of beautiful wineries and character buildings nestled among absolutely stunning settings. After the 1931 earthquake, Hawke’s Bay and in particular Napier became famous for its Art Deco buildings and motifs. Hawke’s Bay is certainly not short of beautiful buildings, country homesteads, green landscapes, rolling hills, sandy beaches and let’s not forget, hundreds of hours worth of warm sunshine!. If you throw in a mix of local produce, talented chefs and caterers you really do have the crème de la crème of regions. If you still need a little convincing here are another few reasons why getting married in Hawke’s Bay is the right choice. Hitchedin Hawke’s Bay have carefully selected the best in the wedding business and put them all together on this one site. The wedding suppliers you will find on Hitchedin are professional, friendly, talented and always willing to help. There is a common goal among us to ensure that your day is simply perfect in every way, down to the very last detail. We can help you to achieve an amazing, enjoyable and most of all a memorable day for all. Whether your big day be large or small, eccentric or classic, a little out of the box or conservative, Hitchedin Hawke’s Bay has something to offer you.